So now it's Sony's turn to jump on the miniature retro-console bandwagon. 25 years after its original release, the OG PlayStation is back. 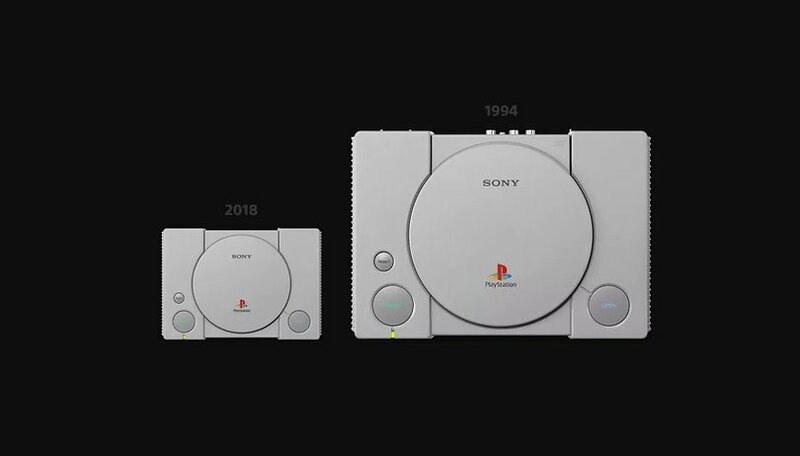 The miniature PlayStation Classic, announced today, will cost $99.99 ( €99.99 / 9,980 yen / £89.99) and come pre-loaded with 20 classic titles from the early age of 3D gaming including Final Fantasy VII, Tekken 3, and Wild Arms. The PayStation Classic will come with two replicas of the original PS1 controller (so, no DualShock, analog sticks or vibration) so you can relive those heady days of couch co-op and trashing your friends at Tekken 3. The gamepads will connect via USB. Obviously, you won't need to use discs or memory cards with this mini version, but the old-school buttons still do something—the 'open' button swaps the virtual game discs and the reset button pauses games. At the back, we've got an HDMI-out for audio/video, and micro-USB for power. Cables for both are included but an AC adapter isn't. The device will launch globally on December 3. Although the console should be carried by most electronics retailers, at the time of writing only two US retailers that currently have it available for pre-order for $99.99, namely GameStop and Best Buy, with the latter throwing free shipping into the bargain. So far, we don't know all the details of the library of 20 games that will come loaded on the device. The titles in the reveal trailer will no doubt bring back a lot of fond memories, but it's hard not to notice that the early generation of 3D games that wowed us in our early teens do look kind of ropey nowadays and appear aged in a way that older sprite-based games avoid. And it's not like old PlayStation games are hard to find on other platforms nowadays. Nonetheless, Nintendo's NES Classic and SNES Classic sold like hotcakes at a similar price point, so there's clearly a large market out there who will shell out to enjoy these $100 nostalgia boxes. I'm curious as to what other games Sony has including in their library of 'genre-defining' titles. Will we see Castlevania: Symphony of the Night? Metal Gear Solid? Mega Man Legends? With the right library of titles, the littlest PlayStation will no doubt find it's way into a lot of Christmas stockings this year. Will you be buying a PlayStation Classic? What games do you hope to see on it?